Illustration for the jacket of the first edition of Lukundoo and Other Stories (1927). 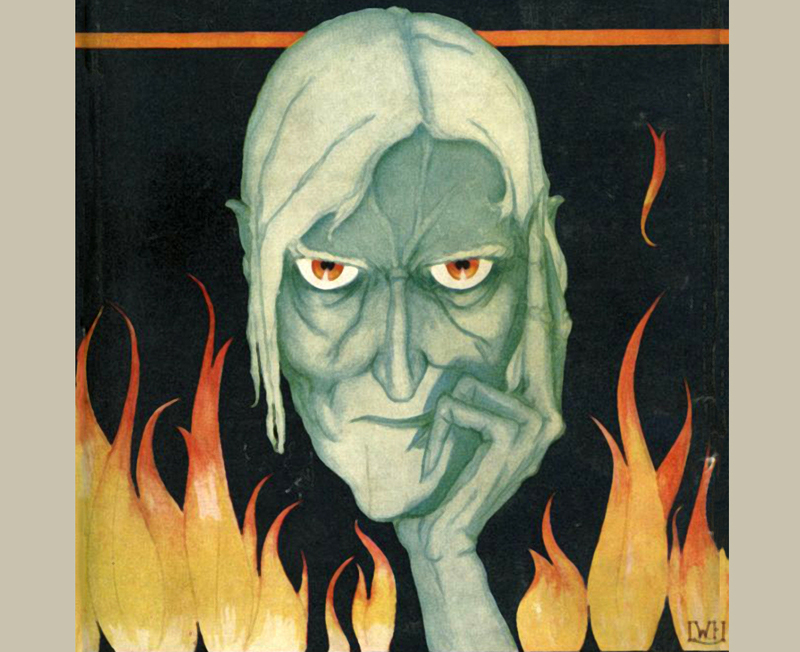 Among the entries in this subgenre, perhaps no story is more famous or influential than Edward Lucas White’s “Lukundoo.” A Baltimore school teacher for fifteen years, White was better known during his life as a writer of historical novels, three of which, published between 1910 and 1921, approached best-seller status and remained in print for decades. 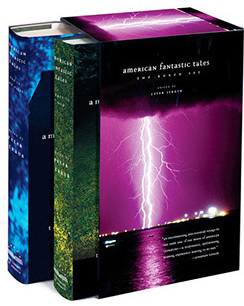 Before he became a novelist, however, he wrote close to a dozen tales of fantasy and horror. His legacy today rests almost entirely on the African curse tale “Lukundoo,” which he wrote in 1907 (eight years after Conrad’s Heart of Darkness), although it was not published until it was accepted by Weird Tales in 1925. During the last century it has been included in at least thirty anthologies, including Alfred Hitchcock’s provocatively titled 1957 collection Stories They Wouldn't Let Me Do on TV. Joshi also describes a project that preoccupied White for most of his adult life: a utopian science fiction novel called Plus Ultra. He began working on the book in 1901 and finished a short version (never published) in 1919. He picked it up again in 1928, the year after his wife died, and amassed a doorstop novel of over half a million words that no publisher would touch. He killed himself seven years to the day after his wife’s death; his last book, Matrimony (1932) was a memoir of their marriage. Notes: In the first page of the story, White refers to the explorer Henry Morton Stanley’s claim (since disproved) that, in 1888, he was the first European explorer to encounter members of an African pygmy tribe. “It stands to reason,” said Twombly, “that a man must accept the evidence of his own eyes, and when eyes and ears agree, there can be no doubt. . . .” If you don't see the full selection below, click here (PDF) or click here (Google Docs) to read it—free!